Â Â Â Â Â Â Â Â Â Â Â Â Â Â Â Â Â Â Â Â Â Â Â Â The president decided to jump on the race wagon with Al Sharpton, Eric Holder, and a few other famous instigators. What I would like to know is how they would have handled things different. These are role models telling kids it’s ok to riot and destroy their community. Role models showing zero respect for our police. I challenge anyone to go toe to toe with a 300 pound man who doesn’t like them. Since people like Oprah want to chime in they should at least tell us what they would have done different. What would they do if a 300 pound man was attacking them trying to get their gun. This has nothing to do with the fact that Michael Brown was black or white. This is about a man who chose to rob a store then try to arm himself with a police officer’s weapon. If Michael Brown had gotten officer Wilson’s weapon this country would have buried another police officer. Michael Brown is dead because he made a stupid decision not a black decision. The color of his skin has nothing to do with his death while the content of his character does. That’s the lesson our president should be sharing with society. 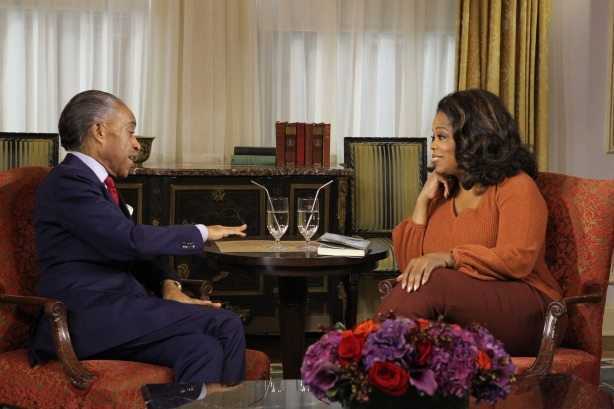 That’s what Oprah should be teaching our teens and children both black and white. If Michael Brown had been white you would have never heard about him. Instead he is painted as a child and gentle giant. He was no child and made a mans decision that got him killed. Samuel Jackson needs to stick to making movies because he hasn’t a clue about the world most of us live in. Even in the movies the bad guy usually loses.